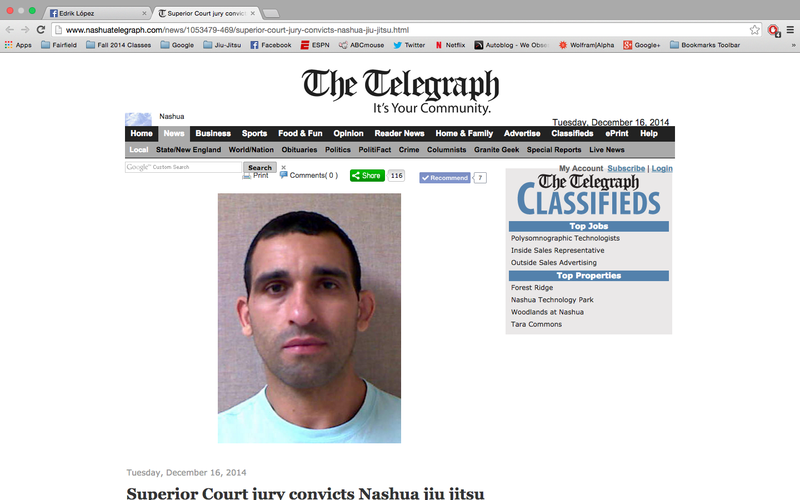 According to the Nashua Telegraph, yesterday, December 15, 2014, Aldo Batista dos Santos was found guilty of all twelve counts of sexual abuse of a minor in Hillsborough County Superior Court South in New Hampshire. I previously wrote about the case HERE, following the lead of Georgette Oden’s blog HERE. 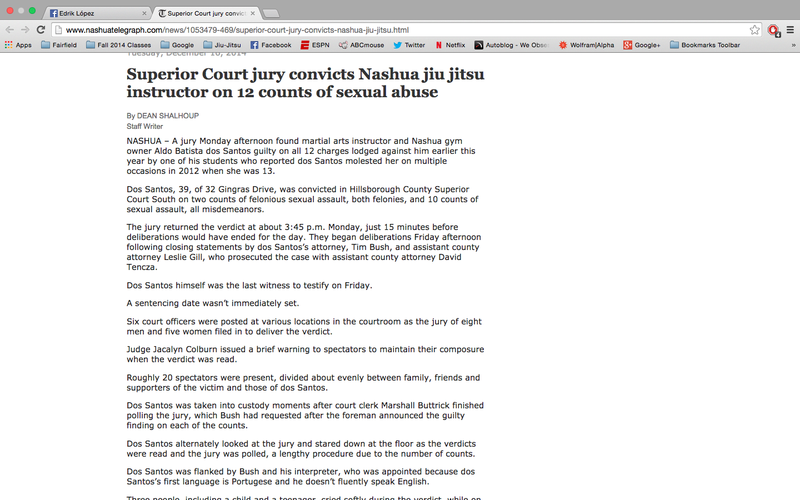 The Nashua Telegraph article can be found HERE. However, it is a pay site. 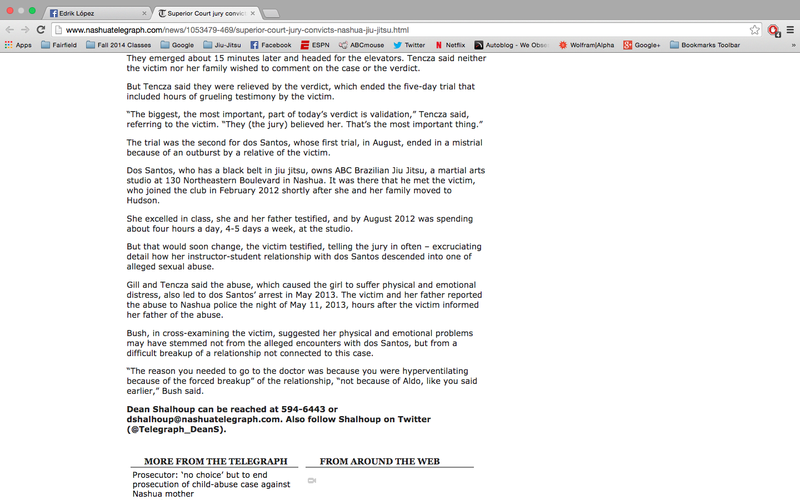 Text of article can be found here, or click on the screenshots below.